Our range of products include die racks, rubber moulding dies, die storage racks, ss die racks, injection moulding dies and sheet metal die. 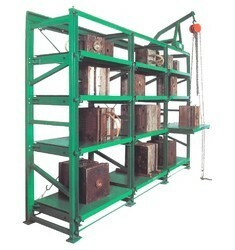 Die Racks are very convenient to use die / mould storage devices with a built in lifting and lowering chain hoist. The drawers are sturdy and can be pulled out and pushed back with the load. In order to remove a die or mould from the rack simply pull out the drawer on which the mould is placed. Pull the monorail trolley and the chain hoist above the mould. Attach the hook of the hoist to the mould. Lift the mould with the chain hoist about 2 inches above the drawer. Push back the drawer into the rack and lower the mould to the ground or to a pallet lying in front of the rack. The mould can now be moved to the machine with a pallet truck. Pattern Dimensions As per client requirement. Pattern Type As per client requirement. The Rubber Moulding Dies are mainly used in rubber moulding industries where the storage of dies are necessary. These dies use vertical space for for handling dies saving on horizontal space. These dies have tremendous load bearing capacities and can bear load of 1 to 1.2 tonnes per level. 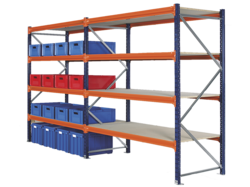 Keeping track with the market advancement, we are occupied in offering an extensive range of Die Storage Racks. Our products are manufactured using elevated quality basic material and best techniques under the direction of professionals. We offer these products in several specifications as per our customer’s preferences. In addition, these products are inspected on several parameters so as to dispatch a flawless range from our end. 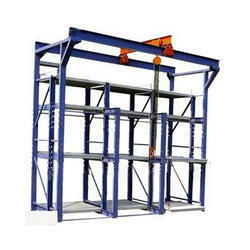 SS Die Racks are very convenient to use die/mould storage devices with a built in lifting and lowering chain hoist. The drawers are sturdy and can be pulled out and pushed back with the load. In order to remove a die or mould from the rack simply pull out the draw in which mould is placed. Pull out the monorail trolley and the chain hoist above the mould. Attach the hook of chain hoist in the i-bolt of the mould. Lift the mould with the chain hoist about 2 inches above the drawer, now push back the drawer into the rack and lower the mould to the ground or to the pallet lying in front of the rack. The mould can now be moved to the machine with the pallet truck. By keeping the track of current market development, Lokpal Industries is offering an excellent range of die racks. 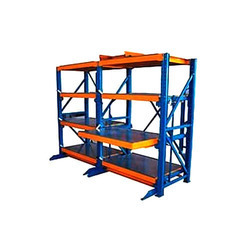 High demand of these racks are making us prominent in manufacturing of these racks with high precision by trained professionals with very superior grade of raw material. As a customer centric organization, we are offering an extensive collection of Injection Moulding Dies to the customers. 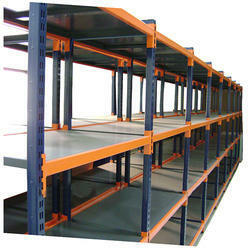 These racks are used for designing fittings and find application in different industries. 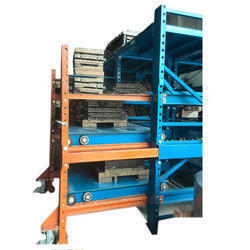 Apart from this, manufactured using high-quality materials, the offered Racks are sturdiness and resistance to corrosion. In addition to this, offered ranges of these products are tested to ensure quality. Our modern infrastructure facilities, use advanced technologies and services of experienced industry professional enable us to manufacture a wide range of Sheet Metal Die. The sheet metal dies are custom made according to client requirements. Looking for Die and Mould Racks ?